Roads ring the shores of St. Kitts. But none ascend into the island's central highlands. The only way to explore these rainforest-clad slopes is by foot. A walk carries you into the heart of a bio-diverse forest reserve that harbors rare plants, ancient trees and a wealth of animal life. Some trails follow streams and rivers, providing relaxing excursions that showcase the island's natural beauty. More challenging is the ascent to the peak of a dormant volcano, which sometimes seems more climb than a hike. With experienced island guides to lead the way, many have risen to the challenge and made their way to the top of the island. Hiking takes place within The Central Forest Reserve National Park, which includes all land on St. Kitts above 1000-feet in elevation. The reserve covers about a quarter of the entire island and a chain of dormant volcanoes. The highest peak, 3800-foot Mt Liamuiga, has interior crater three-quarters of a mile in diameter and 700 feet deep. In addition to summit hikes, there are a number of trails that lead across the lower slopes. While experienced trekkers sometimes take on the slopes of Liamuiga by themselves, most hikers visit the mountain with a guide. Besides offering assistance and security, a tour guide can also provide a wealth of knowledge regarding the plant and animal life of St. Kitts, from the strange history of the mongoose to the identity of exotic birds. The ascent to the summit of Mt. Liamuiga can be strenuous, but the reward is panoramic views of the island and a deeply hidden crater. Trails through the Wingfield River Valley lead into towering groves that echo with bird songs and the chattering of monkeys. Easy hikes can be enjoyed on Monkey Hill and Verchild's Peak. Shoes with good ankle support and a pronounced tread for grip on mud slopes and rocks. Lightweight long pants for protection from trailside branches. For scrambles to the peak, wear clothes that you don't mind getting dirty. CARADONNA RECOMMENDS includes 7 nights Resort View accommodations, one 3.5 hour kayak and snorkeling trip, one 3.5 hour Sky Safari Zipline tour, one 3.5 hour Rainforest tour hike, Value Card with exclusive island-wide savings, roundtrip airport transfers, hotel tax and service charges. Valid 6/1/19-8/20/19. Book by 8/23/19. BUILD YOUR OWN PACKAGE includes 7 nights studio accommodations, roundtrip airport transfers, hotel tax and service charges. Options to add-on Snorkeling an Kayak Tours, Zipline Tour, Rainforest or Volcano Hiking Tour and Scenic Railway Tour. BUILD YOUR OWN PACKAGE includes 7 nights Garden Room accommodations, roundtrip airport transfers, hotel tax and service charges. Options to add-on Snorkeling an Kayak Tours, Zipline Tour, Rainforest or Volcano Hiking Tour and Scenic Railway Tour. BUILD YOUR OWN PACKAGE includes 7 night Mountain View Room accommodations, roundtrip airport transfers, hotel tax and service charges. Options to add-on Snorkeling an Kayak Tours, Zipline Tour, Rainforest or Volcano Hiking Tour and Scenic Railway Tour. BUILD YOUR OWN PACKAGE includes 7 nights Garden View accommodations, roundtrip airport transfers, hotel tax and service charges. Options to add-on Snorkeling an Kayak Tours, Zipline Tour, Rainforest or Volcano Hiking Tour and Scenic Railway Tour. The newly renovated Royal St. Kitts Hotel is a family-run business, built on 18 acres of lush land that is situated around breath taking mountina views and our private lagoon. Located in the beautiful tourist region of Frigate Bay, which is home to several excellent restaurants, bars, an 18-hole championship golf course, extraordinary landscape, and luxurious beaches on both the Atlantic and Caribbean Seas. With the Royal St. Kitts Hotel only being a 10-minute drive from St. Kitts capital city, Basseterre, and a 7-minute drive from the airport, the hotel is ideally located with easy accessibility. The St. Kitts Marriott Resort & Royal Beach Casino offers luxurious guest rooms that are spacious and welcoming. A Caribbean flavor sets the tone in the 8 restaurants and 2 lounges. For entertainment and relaxation, the resort also offers the Royal Beach Casino, the Emerald Mist Spa and a championship golf course at the Royal St. Kitts Golf Club. Diving is provided by Dive St. Kitts. 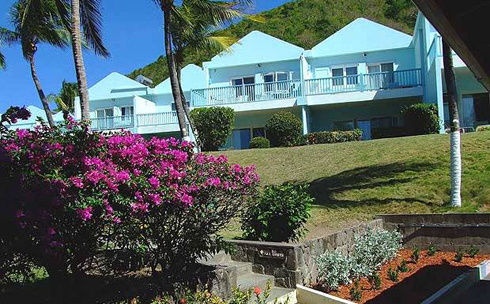 Sugar Bay Club and its 94 suites and rooms is set amidst five acres of landscaped gardens on the edge of a golden sand beach in the lively Frigate Bay area of St.Kitts. An informal, relaxing and sociable low-rise resort, it is ideal for divers seeking a value-conscious vacation in St. Kitts. The Timothy Beach Resort Hotel is the only hotel located directly in beautiful Frigate Bay on the most popular beach in St. Kitts and Nevis, where you can swim in the calm and clear waters of the Caribbean Sea and dive or snorkel in the marine protected area right around the corner. Entry/Exit Requirements: A valid passport is required which must be valid for 6 months beyond the date of entry into the country. Proof of onward or returning ticket is required, as well as 1 blank page in your passport for the entry stamp. No visa is required for U.S. Citizens for stays less than 90 days. All persons leaving, pay a Government Departure Tax of $22.00 U.S.
Vaccinations are not required for entry into St. Kitts. Check with your doctor and the Centers for Disease Control on recommended vaccinations for travel at cdc.gov. Long after other islands in the Caribbean turned to tourism, St. Kitts was an island of farmers. Sugarcane remained the island's chief economic driver through the end of the 20th century, and it wasn't until 2005 that government and private sectors made a concerted effort to welcome tourism and development. Fast-forward a decade and the island is experiencing robust resort and residential growth that includes a number of premier resorts and a tasty collection of new restaurants. But the newfound prosperity that has accompanied this transition hasn't resulted in urban sprawl or a loss of cultural roots. Having established some of the most broad-reaching conservation measures of any island in the Caribbean, more than a quarter of St. Kitts is now protected land. The mountainous interior of the island is covered in one of the rarest types of forest on earth: the American Oceanic Rainforest. And this forest continues to expand as fields no longer used for cane cultivation return to nature. Miles of trails wind through old-growth forests and up mountain slopes for rewarding views of the entire island. If hiking and birding are not your things, there's golf, spas and lively beach clubs. Modern beats fill downtown dance clubs, but across the islands, calypso music is still king—especially during the eight-week winter celebration known as Sugar Mas, which blends the spirit of the Christmas season with elements of Carnival, and colorful displays of the island's cultural traditions and African heritage. Electricity in St. Kitts is 230 volts, 60 cycle, however, 110 volt supply is available at some hotels. An adapter may be needed for U.S. visitors. The country/area code for St. Kitts is 869. There are a few service providers in St. Kitts and Nevis so please check with your local provider to see what plans are available or roaming charges will apply. Many hotels offer WiFi. Drinking water is pure and safe to drink. Bottled water is sold in stores, hotels and restaurants if preferred. English is the official language. The local currency is the Eastern Caribbean Dollar (XCD or EC$). U.S. Dollars are accepted but normally change is given in EC$. ATMs are available as well which dispense EC$. Check the current exchange rate here. St. Kitts is on Atlantic Standard Time (AST) and does not observe Daylight Savings Time. St Kitts is 4 hours behind Greenwich Mean Time (-4 GMT). St. Kitts and Nevis are located in the Eastern Caribbean in the West Indies. The West side of St. Kitts faces the Caribbean Sea, while the East side of St. Kitts faces the Atlantic Ocean. Nevis & St. Kitts from one country, the Federation of Saint Kitts and Nevis which share approximately 100 square miles in total, Nevis with 35 square miles and St. Kitts with 65 square miles. St Kitts is 5 miles wide by 18 miles long. The two islands are separated by a 2-mile channel known as The Narrows. The population of St. Kitts and Nevis combined is 55,712 (2016) with approximately 12,000 residing on Nevis.